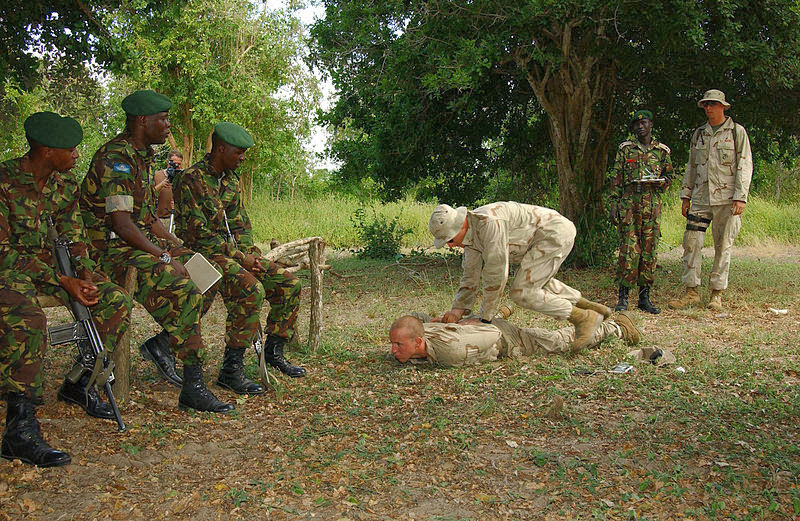 Kenyan Defense Forces engaged members of the Al-Shaabab group of Islamist militants at their base in Gedo – a region in lawless Somalia. Over thirty Islamist militants were killed on January 10 in combat at the base Garbarahey where they had been holding a meeting on strategy. Kenyan media quoted a senior officer of the Kenyan military who said that jets attacked the Al Shabaab encampment during the meeting. Several key commanders of the Islamist terror group were killed alongside other combatants. The identity of those killed was not released. A Kenyan military source was quoted as saying “We are yet to establish their identities, but they are definitely big shots in the militant group’s hierarchy,” who also added that key assets of Al Shaabab were neutralized. Kenya has suffered continuous incursions by the Islamist group for the last three years. Al Shabaab stands accused of abductions, murders, and other violent terrorist acts in Kenya. Seeking to meet the security challenge, President Uhuru Kenyatta has maintained Kenya’s security presence along the frontier shared with Somalia, continuing a policy initiated by his predecessor Mwai Kibaki . Al Shaabab, for its part, has vowed to continue its retaliations, such as the deadly assault on a shopping mall in September 2013. Several members of Al Shaabab who survived and were arrested by Kenyan forces are now standing trial. Even so, the underpaid Kenyan police forces who responded to the attack have been widely criticized. Some police officers and other security forces participating in rescuing civilians and flushing out the terrorists were seen rifling cash registers and stealing merchandise during the affray. As for President Kenyatta, the son of the founder of modern Kenya, he has vowed to continue resisting Al-Shaabab, which is affiliated with the Al-Qaeda terrorist network. “Let them (Al Shabaab) know that we will not relent on the war. Our forces will remain in Somalia until such time when we are satisfied that there is peace,” he said at the end of 2013. The U.S. is no stranger to fighting Somalian militants. It was in 1993 that U.S. troops were on the ground in Mogadishu as part of an effort to secure humanitarian supplies for famished Somalians. They were engaged in combat with irregular forces led by various war lords, such as Mohammed Farah Aideed. 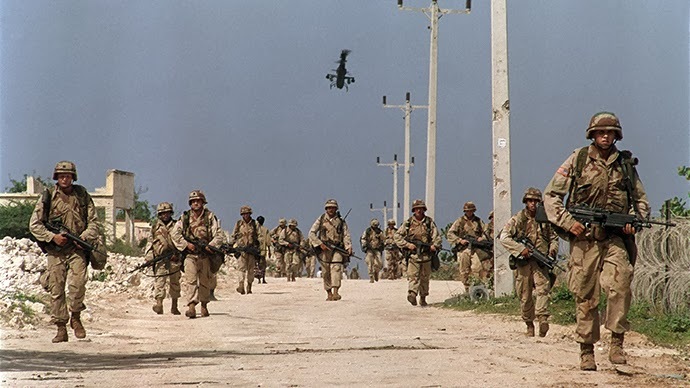 It was there that the famous ‘Blackhawk Down’ incident took place, which ultimately prompted the retreat of U.S. forces for the war torn country on the strategic Horn of Africa. Reports have emerged, for instance, in the Washington Post that the Central Intelligence Agency is operating a base in Somalia as are U.S. military advisors.